Our Starter Package has a little something for every one. We've put together some of our most popular selling items that cover a wide range of price points to cater to different markets. This package is a great starting point to jump into the retail side of your fiber business or a quick addition to existing inventory for an upcoming market, event, or open house at the farm. 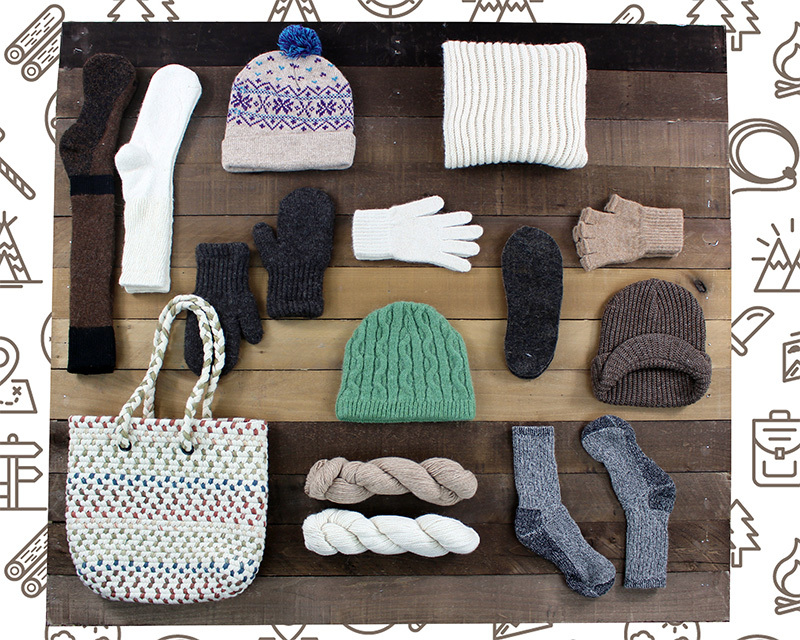 All Socks, Gloves, Mittens, and Inserts are sold in the most popular, assorted sizing. The Suggested Retail value of the Farm Store Starter Package is $1,154.00. A suggested retail price list will be included with your order and can also be found under Resources on our website.